“The evening’s special sensation was to be found in the compositional debut of conductor Viktor Ullmann from the German Theatre. His lyric miniatures attempt an impressive synthesis of natural melodic invention and sharp dissonant harmonies. 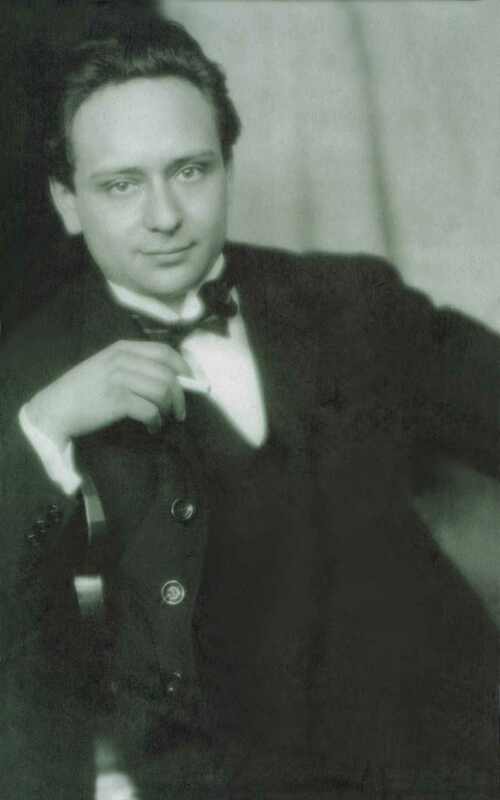 The mood is always suggestively portrayed and kept in one accord,” were the words of the critic from Prager Presse following a concert on 10 March 1923, at which Viktor Ullmann first presented himself to Prague concertgoers in the role of composer. It did not take long for him to become one of the most recognised figures of the German-language music scene in Czechoslovakia in the 1920s and 30s. 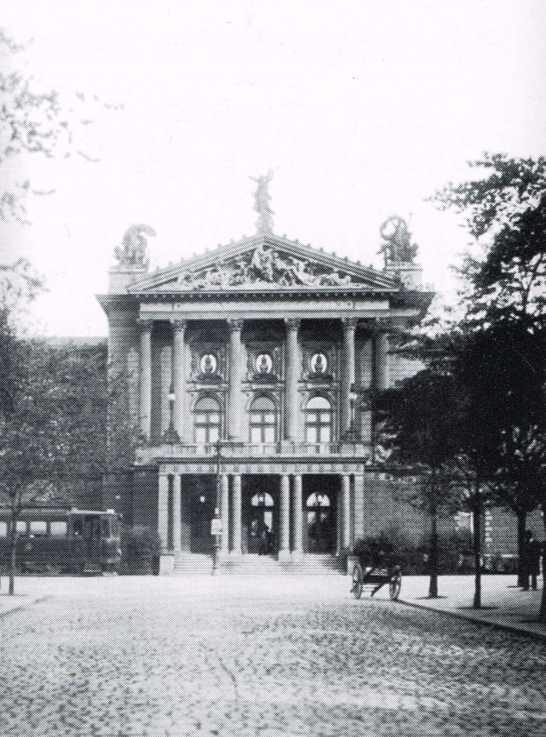 , under the auspices of head of opera Alexander Zemlinsky, Schoenberg’s brother-in-law. The German-Czech bipolarity of Prague offered Ullmann abundant sources of inspiration. He joined in the activities of music societies; as Zemlinsky’s assistant, he prepared the choir for the first Prague performance of Schoenberg’s Songs of Gurre (1921), he also prepared several opera productions completely by himself, he composed incidental music, and he also conducted performances of Smetana’s operas The Kiss and The Bartered Bride, among others. However, Ullmann’s life changed when Alexander Zemlinsky’s departed from Prague in 1927. 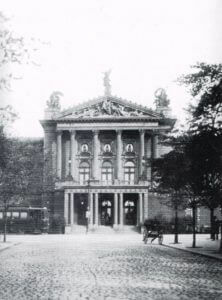 For one season he became director of the opera in Ústí nad Labem, but his high demands on the quality of both artists and production were found to be incompatible with the theatre’s provincial setting. He returned to Prague and spent the following years searching, in both his personal and his creative life. Only a fragment of Ullmann’s early works has been preserved, including his Variations and Fugue on a Theme of Schoenberg for piano, which brought him great success at the 1929 Geneva festival of the International Society for Contemporary Music. However, this was not the catalyst for a wonderful career in music, but instead for a radical life change. During his stay in Switzerland Ullmann visited the headquarters of the General Antroposophical Society in Dornach, near Basel. Already back in Vienna he had come in touch with the concepts of theosophy, and he might have personally attended Rudolf Steiner’s lecture in Prague in 1924. The study of ancient religions and the culture of the Orient, and an interest in the Scriptures, historical studies and literature in general posed questions to the sensitive artists – questions which he now found answers to in Steiner’s teachings. He moved to Switzerland, and in the years 1929–31 he was a conductor and composer of incidental music at the theatre in Zurich. His interest in ethics and the spirituality of human life led him to Freemasonry. This two-year Swiss period served as a transformative intermezzo that brought him to a new stage in his life. 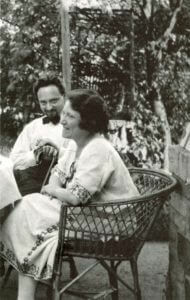 Ullmann’s childless first marriage ended in divorce in spring 1931, and in September he married a second time. That same year he was accepted to the Antroposophical Society of Czechoslovakia; his application was sponsored by the Czech composer Alois Hába, another antroposophist. Ullmann moved to Stuttgart to fully devote himself to his spiritual mission as the owner of a bookshop with antroposophical literature. However, the bookshop he bought was heavily indebted, and his lack of practical experience soon plunged him into bankruptcy. The ignominious end of his business venture coincided with the first overt expressions of violence of the National Socialist regime, following Hitler’s accession to power; but even before Ullmann could be hounded as an ethnic Jew and an adherent of antroposophy and Freemasonry (he still retained Austrian citizenship), he was forced to flee Germany from his creditors. He returned to Prague in July 1933 and was immediately stood before the problem of legalising his presence in the country. After the Nazis came to power in Germany, Czechoslovakia accepted a number of refugees from the country, but the authorities gradually became wary, even when the foreigners concerned had lived there for some time already. Viktor Ullmann was unable to find permanent employment, he earned his living working for Czechoslovak radio, publishing in magazines, giving private lessons and organising lectures for German associations and the local Masonic lodge. In 1935 he completed his key work, the full-length opera The Fall of the Antichrist (it was not performed until in 1995 in Bielefeld, its first Czech full-stage production premiered in 2014 in Olomouc). Viktor Ullmann seems to have inherited his mother’s mental instability, which was further aggravated by his existential and family difficulties. Towards the end of 1937 he spent some time in a psychiatric hospital. In those days he wrote a collection of antroposophical verse, which he appended with a number of aphorisms and selected quotes and titled The Strange Passenger; both the poems and the aphorisms are a telling testimony to Ullmann’s education and intellectuality. 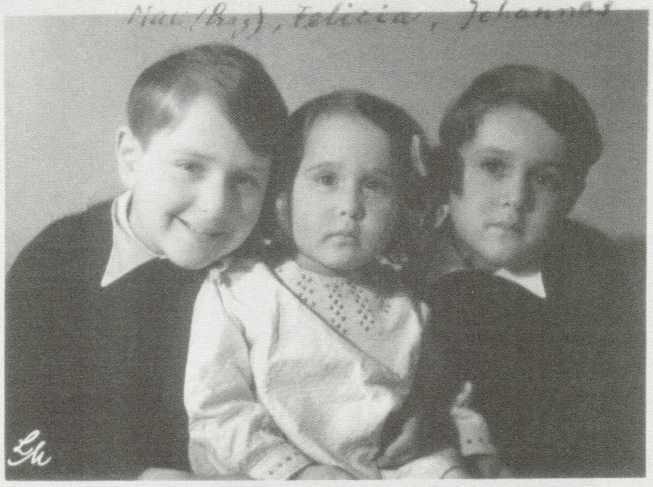 In 1938 Ullmann’s father died. The resulting inheritance brought about a somewhat improved financial situation, and so Viktor Ullmann could afford to self-publish some of his compositions. Apart from the aforementioned Schoenberg Variations and two operas, these included six song cycles, four piano sonatas, and Slavonic Rhapsodies for orchestra and obligato saxophone. Of the works Ullmann composed before his transport to Terezín (Theresienstadt), a few have also been preserved as autographs, apart from the score of The Fall of the Antichrist these include the autograph of Piano Concerto and a copy of the autograph score of his opera The Broken Jug. Ullmann had further international success in 1938, when the Prague Quartet played his now-missing String Quartet No. 2 at the London festival of the International Society for Contemporary Music. At the time, Ullmann represented Czechoslovakia – despite the quandaries surrounding his citizenship status. He attempted, unsuccessfully, to gain asylum in Switzerland, he considered emigrating to South Africa or Turkey, but his request for an emigration pass was not processed in time. Thanks to the rescue mission organised by Nicolas Winton he was able to get the middle two of his children to England. However, this difficult period took its toll on his second marriage; two months after his divorce in autumn 1941 he married for a third time. That same year marked the start of the deportation of the Jewish population. Viktor Ullmann was transported to Terezín on 8 September 1942. In the squalor of the ghetto he organised lectures, wrote critiques, performed as a pianist, and continued to compose. 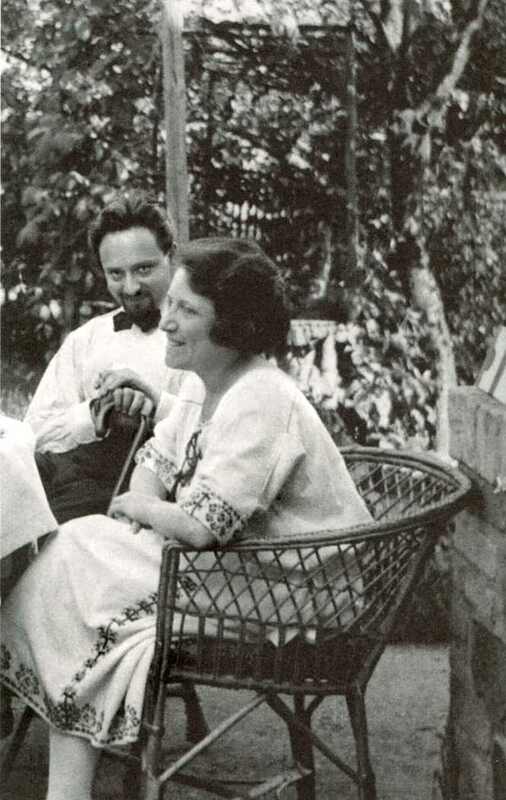 He created more than twenty works in captivity, including three piano sonatas, songs and choruses, the melodrama The Song of the Love and Death of Cornet Christoph Rilke based on the poem by Rainer Maria Rilke, and the opera The Emperor of Atlantis, which he did not have time to stage (it was first performed in altered form in 1975, in its original form in 1992). On 16 October 1944 he found himself bound for Auschwitz in a transport which included the conductors Rafael Schächter and Karel Ančerl, the actor Gustav Schorch, composers Pavel Haas, Hans Krása, Gideon Klein, the poet and painter Petr Kien (the librettist of Ullmann’s The Emperor of Atlantis), and many other artists. On 17 or 18 October 1944 Viktor Ullmann was murdered in the gas chambers of Auschwitz. His fate was shared by his wives Annie and Elisabeth and his son Max (his youngest son Paul died in Terezín), and also by his first wife Martha, who was killed in Treblinka.